New Zealand business structures require some thought. 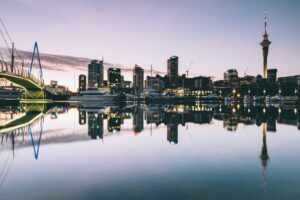 Home to a growing population of close to five million people and a GPD of US$205.9 billion, New Zealand is becoming an increasingly popular choice for entrepreneurs considering starting a business in a foreign country. Indeed, foreign investment in the country doubled between 2001 and 2015, reaching new highs of $100 billion per annum according to the latest data. With the United States, Canada, Australia and the United Kingdom among the top investors, entering into the market sooner rather than later is the key to your success. One of the most common business structures in New Zealand is a Sole Trader. Not only are they easy to run, but they can be set up in just a couple of days – once you’ve registered your business with the Inland Revenue and have the necessary paperwork, you can trade. Not only is this business type suitable for freelancers, contractors and the self-employed, but it is suitable for small and growing businesses that are looking to start off slow in the country. 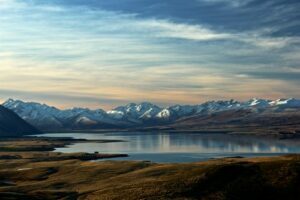 If you enter New Zealand as a one-man band but grow a team quickly, you can still operate under this business structure, as you’re able to recruit and pay staff as part of your business. Simple Process: One of the biggest benefits of becoming a Sole Trader in New Zealand is that incorporation is a simple and straightforward process. You can complete the entire application process online in no time, even if you have no or limited prior experience of operating in New Zealand. This saves time and allows entrepreneurs to enter the market as quickly as possible – as you’re in control, you don’t have to wait months for your application to be approved or signed off. Retain Business Control: Another benefit of setting up as a sole trader is that you maintain control over your business decisions and profits. If you’re having a particularly successful period, you’ll benefit directly, rather than having to distribute shares or assets as a company director, or receive no bonus. New Zealand partnerships are a popular choice for foreign investors. Tax: One of the biggest drawbacks to operating as a Sole Trader in New Zealand is that, if your company is doing well, you may be put in a higher tax bracket. Your firm is not a separate entity – you own it. Liability: Because of this, you are liable for all of the debts, legal actions, and other legislation put to your business. If you’re sued for breach of contract or do not make a profit, you take full responsibility, so operating sensibly and within the law is key. Another common business structure in New Zealand is the partnership, which is formed with two or more individuals. Similarly to a Sole Trader business, you’ll be liable for all debts and challenges brought to your business, but you’re able to split the liability with other business partners and share day-to-day responsibilities. 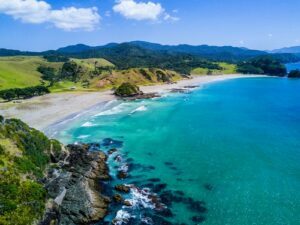 Many foreign investors choose to enter into a partnership in New Zealand with a local entrepreneur in order to bypass foreign ownership and enter into markets that are off-limits to international investors and require residency. Labour: Entering into a partnership means labour is shared between partners, reducing the stress and responsibility of establishing a business in a new market. Remember to foster a great company culture to ensure all partners are on the same wavelength. Capital: Partnerships allow entrepreneurs to combine their investments, increasing their yield and allowing them to enter into industries that require upfront capital. Most partnerships are formed on equal investments and ownership, though not always. Risk: Incorporating a business in New Zealand does not come without its risks – if you choose the wrong niche or industry, you could lose money. Entering into a partnership enables businesses to reduce their level of risk and upfront investment. Entity: Partnerships are not separate entities, and you and any partners will share ownership of the business. This can have drawbacks in some industries, where firms prefer to work with Companies, or if you were to grow and want to add shareholders. Liability: Partners are jointly liable when incorporating a Partnership, though if one cannot pay their Partnership debts, the other may be solely responsible. Relationships: Whilst a partnership offers real benefits, it requires business partners to remain on good terms and agree on all major business decisions – something that is not always possible. Protect yourself by working with a lawyer to create partnership agreements that outline your business, investment, profit share, liability, and plan should the partnership be dissolved, including the distribution of capital and assets. The final business structure is the Company. Although the incorporation process is more complicated and time-consuming than Sole Traders and Partnerships, it means you’ll be registered with Companies Office and can trade like any other company, regardless of the nationality of your director. It also means that your business will have its own responsibilities, and is most suited to firms that are growing and require a more formal approach to business. Own Entity: Companies in New Zealand are separate entities, reducing your liability in the firm and allowing you to make decisions that are in the best interest of the firm. Tax: Incorporating a company in New Zealand means that you can take advantage of tax benefits, and be paid a salary rather than be liable for any company debt. Credibility: Companies are more credible than Sole Traders and Partnerships in the country – they’re considered to be more established and accountable than others. Longevity: Operating as a Company means your firm will continue in the event of your exit or death, and you can also sell your company or offer shares in the firm. New Zealand Companies are more expensive to incorporate, but offer benefits. Regulation: Companies in New Zealand must follow strict regulations, legislation, and guidelines, or face severe consequences. Working with a company that offers local business law makes sense, and ensures your firm remains fully compliant. Recording: Companies are required by law to record shareholder meetings and other business activities, and report to Companies House as and when necessary. Incorporation: Incorporating a Company is more expensive than Sole Traders and Partnerships. It is recommended that you work with a business lawyer or solicitor. At Biz Latin Hub, we offer a range of back-office services to support foreign entrepreneurs make an impression on New Zealand. If you’re ready to get started in the country, but don’t know the best business structure or require legal or due diligence support, you can depend on our time-served New Zealand business experts, who are based in the country. To get started, email us on [email protected] for personalised support.